Introducing: Rebecca Minkoff x Stella & Dot! Introducing: Stella & Dot 2017 Holiday Collection! 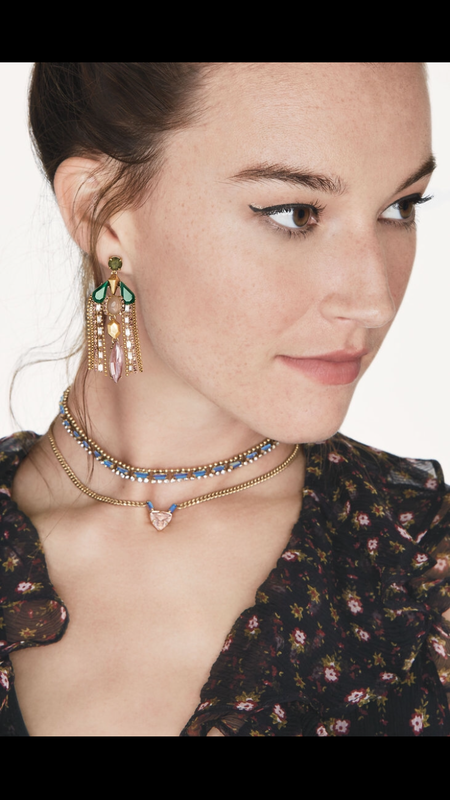 NEW Stella & Dot January 2018 Collection! Introducing: Jord Watches + GIVEAWAY! We all had that life plan. You know the one. They asked us a few times in grade school and we would write it down, hide it away, and open it for a serving of nostalgia after graduation. But how many times does it really work out that way? If I had to guess, less than 50%. 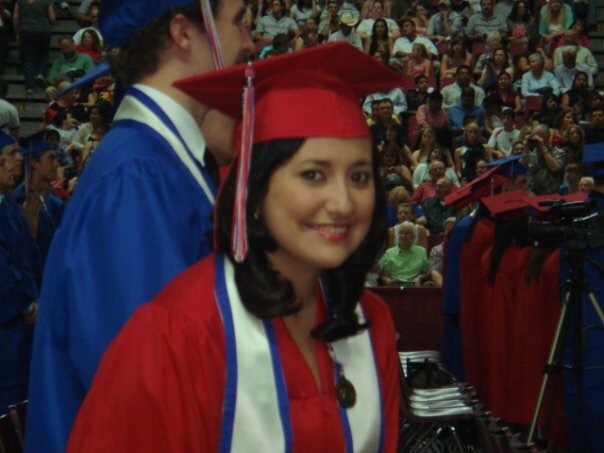 For me, that plan included marriage, a Master’s degree, and my first company. Lofty goals. I would beat myself about deviating from “the path” or “my plan” so much. I later realized that it was because we’re never taught that life can get in the way. Or rather-that it’s OKAY that we pave our own way. I have two younger sisters that are at pivotal stages in their lives. They’re literally some of my favorite humans ever and I hope to inspire and–hopefully–teach them what I have learned from my experience-mistakes included. We never account for the possibility of changing our minds, falling in love, falling out of it, and the overall experience that is life. I turned 27 years old on September 27 and was recently inspired by Ingrid Nilsen’s most recent video. This was really enlightening and intimidating to write, especially because as soon as I hit ‘publish’, this information is officially on the Internet forever. 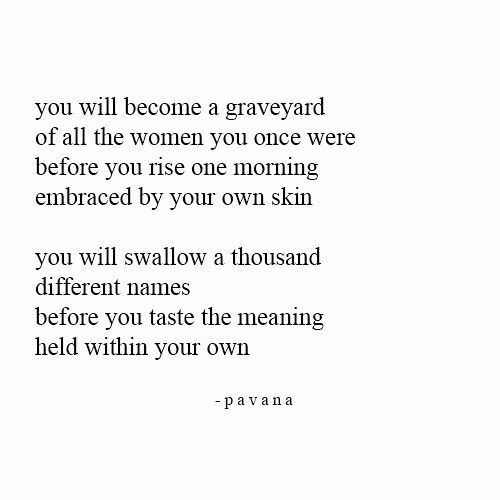 Part of my self-care routine is to constantly reflect and appreciate how far I have come without becoming entangled in the past, as well as being damn proud of what I have achieved. I encourage all of you to do the same 🙂 I would love to hear your thoughts on what you would tell your younger self. Comment below so we can start a conversation. I’ve also included some photos of my younger self (which are slightly embarrassing!) c. 2009-2012. I hope you enjoy. Yes, this move is brave. It will lead you to one of the best adventures of your life. Call your sisters more often. Don’t hold on to what you have been taught your whole life by others around you as a guide to live YOUR life. Don’t be afraid to make the first move: introduce yourself to that peer, the cute boy in your merchandising class, or the quiet girl reading the same book. Ask more questions; in fact, ask as many as you can. The universe is here for you to learn from it. Why not you? Your race, image, background, financial status holds absolutely no bearing on your character or what you can achieve. Nobody is born deserving anything. Be more humble. It’s good for the soul. Accept that you need to practice gratitude more often. It will change your life. You are not responsible for people’s mistakes. The only thing you can offer to your loved ones is affection and support, but you are not a life jacket to anyone and everyone who may be drowning. Learn to say no. It doesn’t make you a bad friend or colleague. Your time is valuable. Don’t waste it seeking validation from anyone. Study abroad. Jumping into the unknown is good for you. Don’t stop reading. You will never, ever stop learning. Even after college. Fashion is not the only bubble in which you live and work in; read about astronomy, sociology, and technology. I know you love those to-do lists and being productive, but you need to also learn to relax. Oh, you found a wrinkle? That’s OK.
Also, don’t freak out about the bags under your eyes. See #16. Please treasure the friendships you will encounter. They need nurturing as well. You’ve been in lust, but not in love…yet. Your sexuality is not a demon. What’s more is that it will be one of the most spiritual experiences when it’s with someone who loves you. It’s also fun. Own it. You’re not married either. So what? Chill. Let go of the Catholic guilt. What happens between two consenting adults is nobody else’s business. Get lost in those blue eyes because you’re about to fall in love. He’s somebody that will teach you so much. Meditate and search within you. Hold onto that faith. Believing is half the battle. Keep writing. You’re good at it. Don’t wait for that “perfect job”; seek inspiring people and opportunities. Keep being that hopeless romantic. I hope, as always, that you have found this helpful or perhaps even inspiring. You know that feeling you get when you meet someone new and you know you just click? More related to this post is that feeling when you meet someone and know they are about to inspire you in ways you only dreamed. 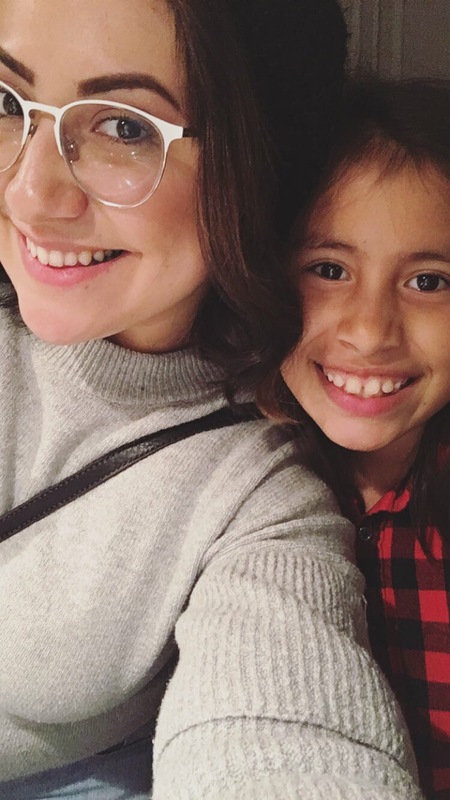 Darrah Christel, CEO, Founder (and all around #GirlBoss) of Seattle-based Loho and I had been liking each other’s photos on Instagram and connecting over motivational quotes over the past few months. We met up at a Starbucks this past weekend and talked for over two hours. As soon as she approached me, I could feel the good vibes radiating from her! It was inspiring to simply listen to her open up about her struggles with body image, her relentless journey to find a product she whole-heartedly believes will change the way women feel about their curves, and her passion for instilling that self-confidence into others around her. Yeah, she’s the real deal. Read her post on Medium here. She gave me the product to try out and guys…you know I am totally transparent in my product recommendations and please believe me when I say that these are the most comfortable damn tights I have EVER slid into. Yes, SLID because I effortlessly pulled these tights over my legs, hips, and waist. And guess what? They stayed there! After a few hours, the only time they came down was when I had to use the restroom. I have always been an avid tight wearer, especially in the colder months. 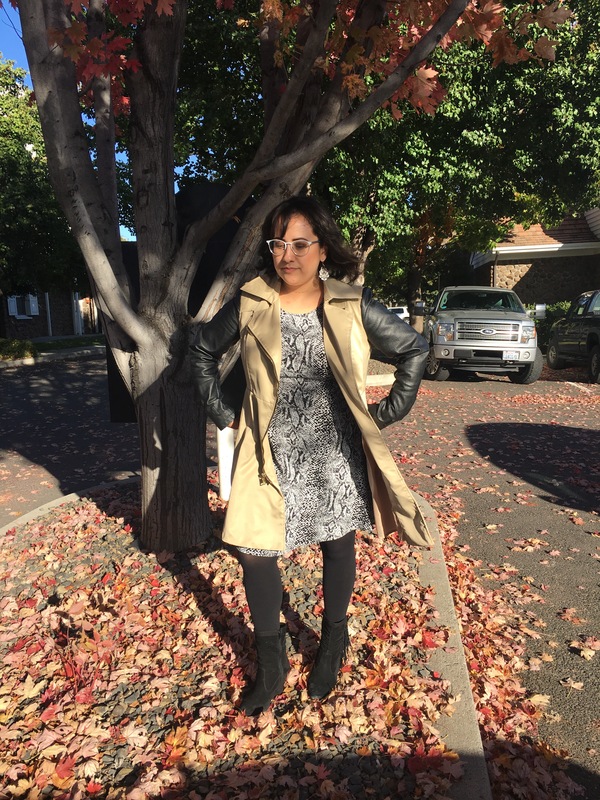 Who doesn’t love a fabulous sweater dress, leather boots, and some fun tights in the fall? I’ve tried other brands like HUE and DKNY, but they have always snagged so easily forcing me to toss the whole pair in the trash. The secret is the patented lace waistband that flares out and away from your body and the genius silicone backing. The lace featured in mine is sample lace. LOHO™ is currently taking pre-orders through iFundWomen, a crowdfunding platform for women-led businesses. Their tights will be available for pre-order until October 31, so head over to her page and order yourself a pair, two, three, or simply donate if you would like to see Darrah’s project come to life. More styles and colors to come if we all help in reaching this goal! Thank you to Loho for sponsoring this post. All opinions are solely my own. One of the many fashion collaborations that I am incredibly excited for this fashion season (besdies The Weeknd x H&M), is the Rebecca Minkoff x Stella & Dot 6-piece fall collection! 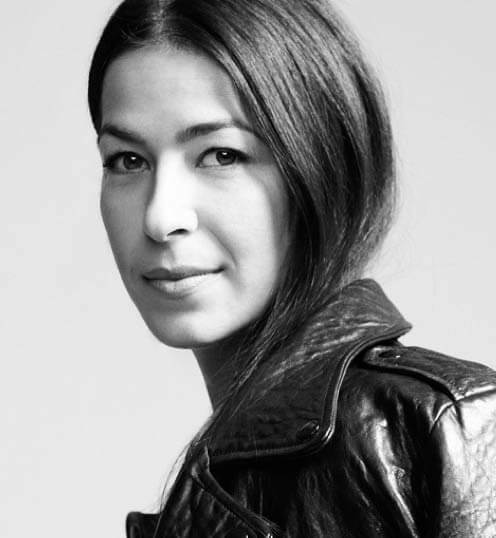 Rebecca Minkoff’s background as an entrepreneur and American businesswoman parallels Stella & Dot’s vision of affordable and chic accessories for the modern woman; it’s pretty much the perfect collaboration. Many magazines and press outlets are agreeing. You can read the story in US Magazine here or Brit+Co’s thoughts here. Rebecca worked with our CCO Blythe Harris to create six unique jewelry pieces that are feminine and just the right touch of edgy. The best part may just be that they’re all priced between $49-$69! You can browse the gallery below and visit my stylist shop here! 1. 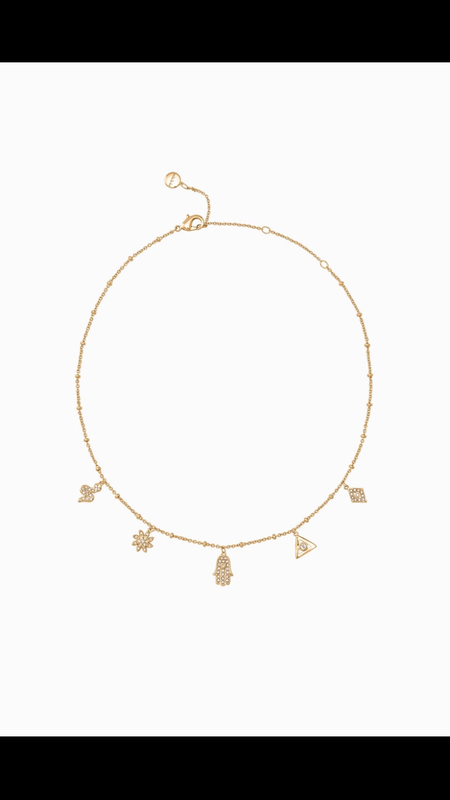 Cameron Charm Choker – $59- Five hand-set pave charms perfectly spaced on a delicate shiny gold choker. My favorite is the little triangle! Such a fun layering piece. 2. 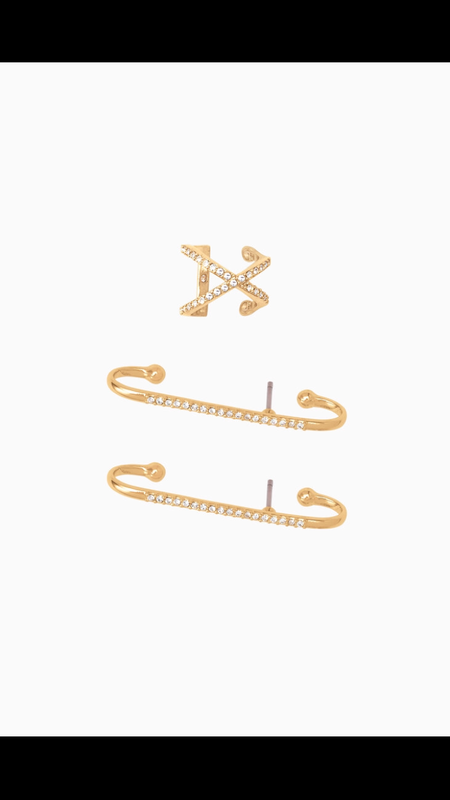 Emory Pave Earring Set – $49 – Hand-set pave stones placed on subtly-stated silhouettes. Pave bars fit through pierced ears, and then line upwards on the lobes. Malleable ends make these beautiful bars stay in place. 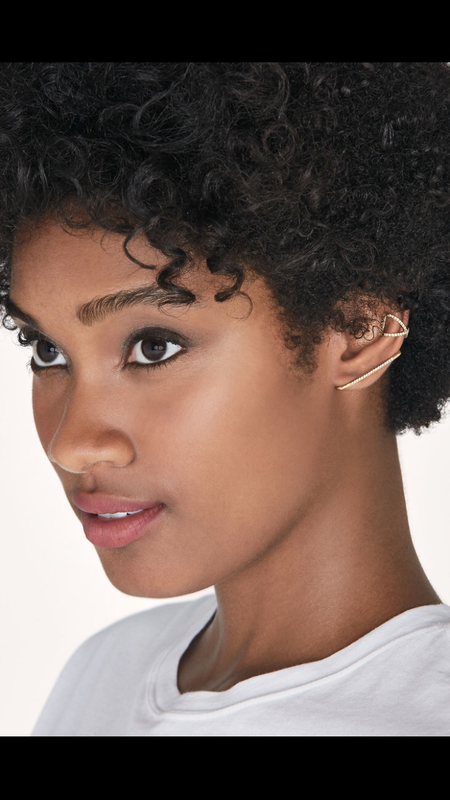 Add the X midi cuff by sliding up from the lobe to the middle part of your ear. How gorgeous are these? Such a unique way to make a statement. 3. 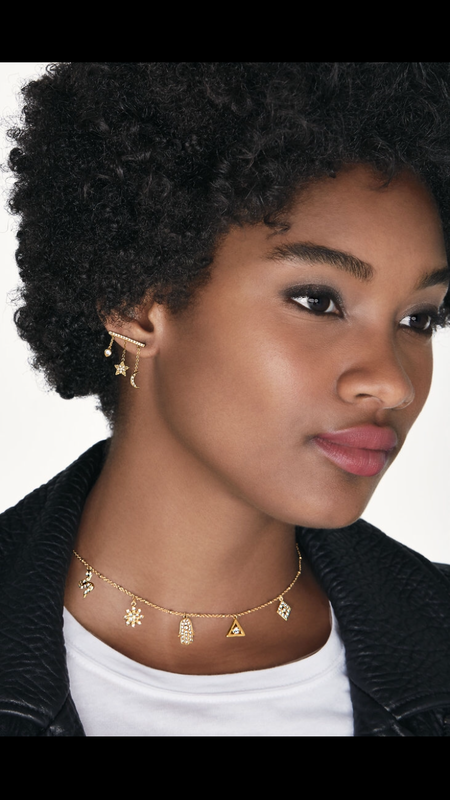 Celestial Ear Climbers -$49 – Shiny gold ear climbers line the earlobes with cascading celestial accents. 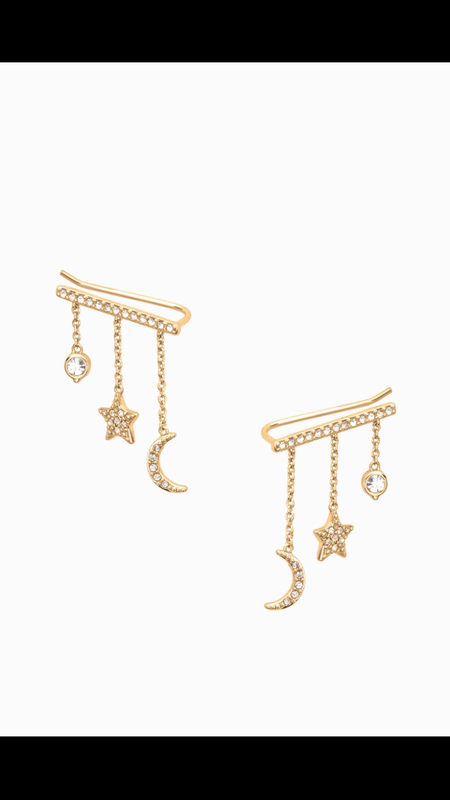 I am a sucker for anything celestial with stars and moons, so I am all over this ear climber. Pair this with the celestial choker (available in gold and silver), a chunky knit sweater, and some thigh-high boots. 4. 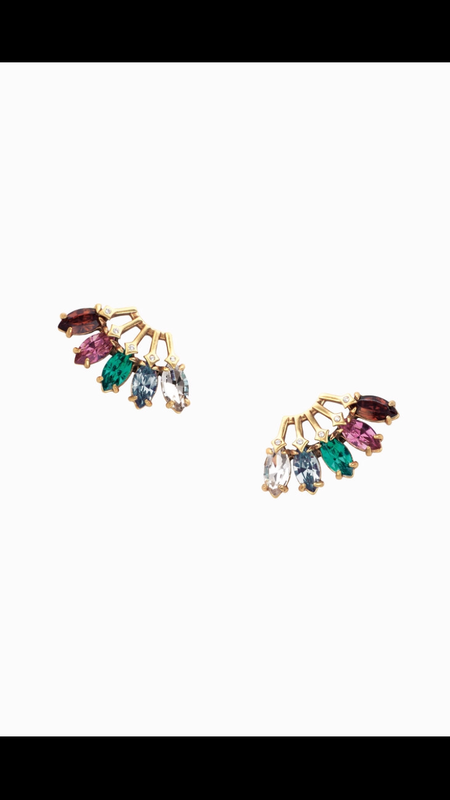 Pixie Studs – $49 – A feminine medley of color fans out beneath a geometric setting. 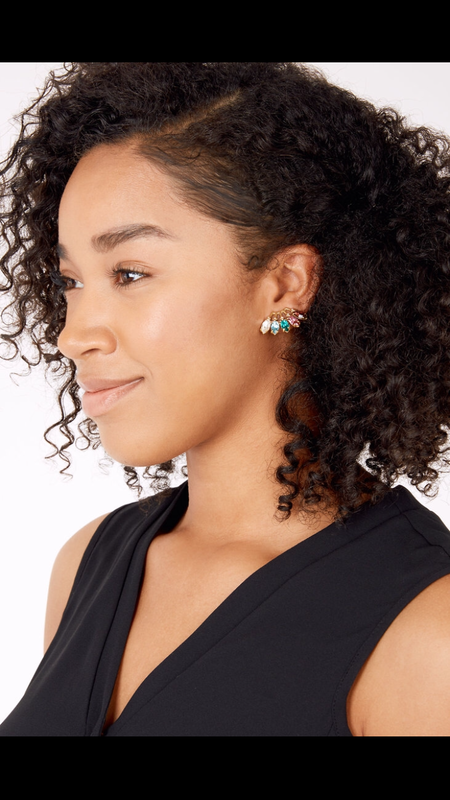 These statement studs add a subtle pop to any outfit. 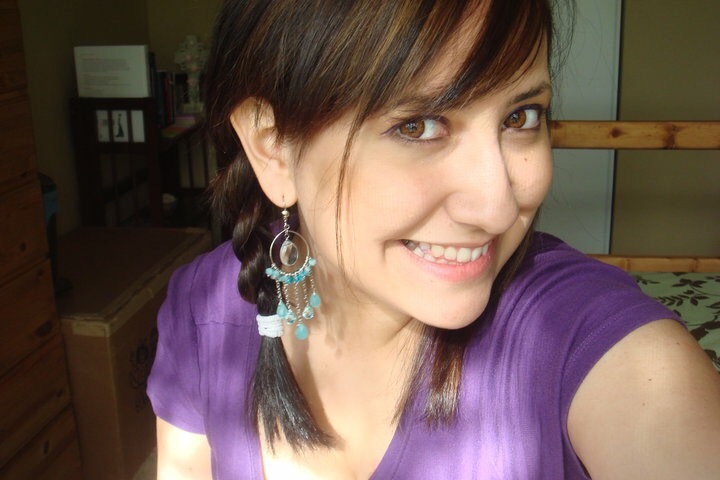 I love this style of earring because even with all of the different colors, it is still sitting so timeless on the ear. Incredibly classy. 5. Pixie Chandeliers – $59 – Mixing glamorous sparkle with a chic waterfall. 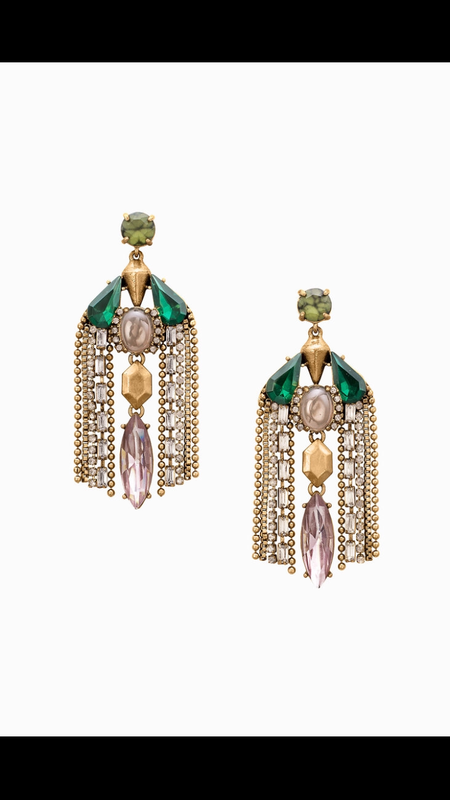 A feminine frame holds beautiful neutral and green tones with accents of vintage gold. 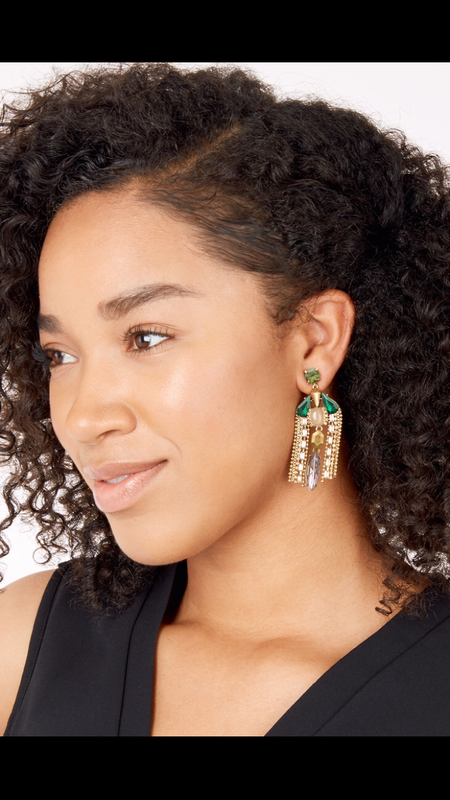 I love chandelier earrings with a more rustic metal base because you can throw up your hair in a bun, apply some red lipstick, and you look so put-together with almost no effort! 6. Pixie Choker- $69 – Make a modern statement with this double choker. 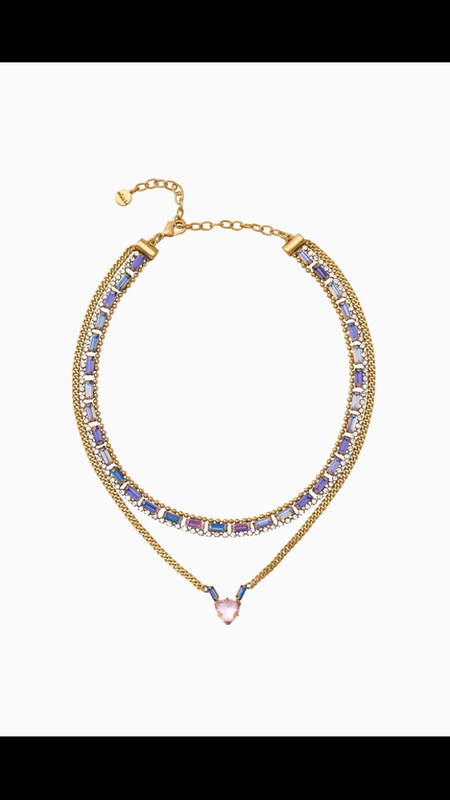 Iridescent sparkle, set in vintage gold, sits closely to the neck while a geometric pendant nests seamlessly below. What do you all think of this collab? Meh or pretty great? Leave your comments below! Hey! 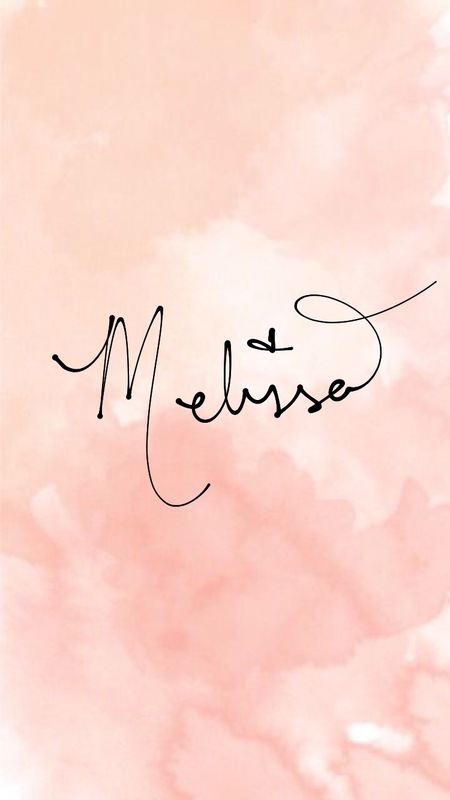 My name is Melissa: Mexican-American blogger, stylist, and fashion industry addict. I have a Chihuahua named Gizmo, a passport begging for more stamps, a goal to help break mental health stigmas, & a fiery passion for inspiring women to prioritize self-love.